DeAnna likes to scan the boys school work to eventually make digital memory books of their handiwork. This has been a huge blessing since we are so mobile and can’t keep a collection of their papers. 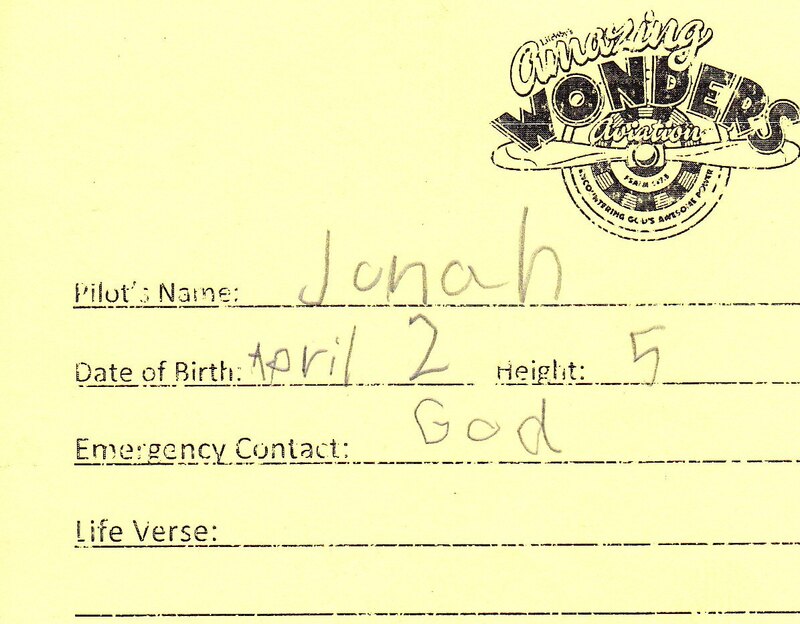 While she was scanning, she came across Jonah’s registration card for the Kid Zone time. Every year a team of people come here to run a VBS for all the children within our mission community, while the parents are busy with Conference. We loved what he wrote for Emergency Contact. This entry was posted in Cameroon, Kids and tagged Cameroon, Emergency Contact, Kid Zone. Bookmark the permalink. That is awesome. Jonah – you can’t go wrong with God as your contact! Jonah, didn’t know you’d need to use the emergency contact May 31, but glad you prepared in advance to have the contact in place for such a time as this. Heal quickly, my precious Jonah! See you soon.